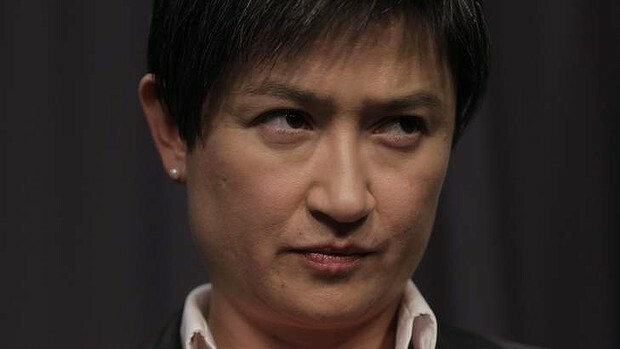 Finance minister Penny Wong goes on telling Australia that revenues today are substantially falling referencing the higher levels of revenue received in the former years of prime minister John Howard, failing all along to articulate why revenues are falling and why increasing revenues are primarily needed to meet an ever greater escalating sum of federal debt. Penny states that there is less taxation collected today when the reality is, whether Penny likes it or not, the very reason why less tax is collected is because industry & commerce can no longer sustain or service the ever increasing sums of federal debt. As a consequence of this artificial debt Penny is not telling Australia why unwarranted taxation has to be increased to merely service, but never pay down, what is irreversible sums of artificial debt which perpetually re-inflates circulation, spent, then, on infrastructure such as schools & disability care, amongst the many other public services. Surplus seen in past administrations which was purportedly paying down federal debt was not the case at all & nor will it in the current administration . A surplus does not mean national or state debt is being paid down as such , ( See HERE & HERE it never has ). Surplus means a nation or state is just * temporarily * servicing or balancing debt, never ever paying this artificial debt down due to perpetual re-inflation, which indeed comes at a far greater expense to any nation, such as cuts on public services & employment, unwarranted tax’s collected (extortion) on all our industry & commerce & the blatant sell off of land, natural resources & national infrastructure just to pay a thieving bank who risks nothing commensurable of its own , however the chump change left over, only after cuts, extortion / taxes & sell offs of a nations sovereign wealth is the surplus if any, which can only temper or prolong eventual monetary destruction at the very best . Likewise a deficit simply means a nation or state is not balancing their debt, either way here , surplus or deficit we are still getting a result of an irreversible multiplication of debt, clearly evident by perpetually increasing sums of national & state debt, PLEASE THINK YOUR NOT IN A WASH OF MONEY FROM ALL THIS NATIONAL DEBT FOLKS & WHY IS THIS ?, simply because the rate of circulatory deflation or a theft of circulation by a banks purposed obfuscation of our promissory obligations is always, always, always at a greater rate than any former rate of re-inflation by national or state debt that’s perpetually re-inflating circulation over & over, irreversibly multiplying artificial debt on every cycle of re-inflation thereafter. Penny goes on merely assuming GDP growth is growth value of what we produce or the growth value of what industry & commerce produces . What Penny evades is the only growth is a growth of a THEFT, which is disguised as a purported loan subject to unwarranted interest that indeed perpetually depletes a general circulation at a greater rate than any former rate of re-inflation by irreversible sums of national debt, thus multiplying artificial indebtedness on each & every cycle of dispossession thereafter , Gross Domestic Product (GDP) today is the market value of all goods & services produced within a country in a given year, so the GDP is the percentage rate of a THEFT stealing ” alleged growth ” in a given year. Logic tells us GDP does not equate to any growth if its value is stolen, thus the lower GDP rate the closer we all come to ultimate destruction because we are producing less & less which means less taxation to service artificial debt , the higher the GDP rate simply means there is some more thieving left upon further of our production, stolen by the banks & political betrayers, exploiting those who are lucky enough to remain credit worthy at the expense of all those who have lost everything through no real fault of their own of course, which expense includes homeless children that’s indeed a rate of dispossession growing exponentially every day HERE in Australia & HERE across the world. Penny likewise assumes increasing prices means increasing value which is not the case at all due to the fact that we are paying principal + interest out of a general circulation that’s only ever comprised of some remaining principal at most, where money has * DEVALUED * due to the banks purposed obfuscation of our promissory obligations , as a result banks are stealing & laundering circulation, which is often * 2X above * the represented property value of principal due to unwarranted interest , * perpetually decreasing * the remaining volume of circulation by imposed interest on all our falsified debts to all local banks ,where the remaining volume of principal in circulation has actually lost its value per represented property value & WHY is this one may ask? Simply because your paying more out of the * existing or remaining * volume of circulation per represented property value , NOT paying more out of an * increasing * volume of circulation per represented property value. Price inflation however on a whole is primarily caused by unwarranted interest imposed on all our industry & commerce, where businesses has no choice in most cases to raise their prices to meet their own debt obligations to a bank, therefore price inflation on a whole today is almost entirely artificial in nature, which is passed on to the consumer in the price of goods & services. The current heights of the Australian dollar at the moment that penny mentions in her interview, AAA credit rating inclusive, is therefore wholly artificial in nature not only because the US dollar is devaluing at a greater rate in comparison to the Australian dollar due to the very same banking obfuscation, but the Australian dollars purported strength is reinforced due to an artificial sustention unique to Australia by the sales of public land, public infrastructure, consequent taxes, levies, new levies & taxes, & lets not forget the sales & sales taxes of a vast array of natural resources etc, all paid to a thieving bank only to service ( NOT PAY DOWN ) artificial debt , which can only at best, prolong or temper ultimate monetary destruction . Most insurance companies are likewise owned and or funded by banks , so by implying this new tax is an investment when its clearly NOT is nothing but a deception, which is really a suggestion of laundering extorted circulation into the possession of a central banking system via a purported insurance scheme, rather than directly paying this tax to the banks like most if not all other taxes. What Penny fails to address is the banks first 3 crimes. 1) The local bank steals a sum of principal an * alleged borrower * creates by purposefully obfuscating the obligors promissory obligation before the book entry, pretending, then, to loan principal only as if it was the banks principal value to loan out in the beginning. 2) As a result of the banks first crime the bank, then, steals a further sum of principal by charging unwarranted interest on what is a *falsified debt* only as if the bank gave up or risked consideration of its own commensurable or equal to the *alleged loan* or debt it falsifies to itself. 3) As a further result of 1 & 2, unwarranted taxation or EXTORTION is therefore imposed ,where an even further sum of principal is stolen, paid directly into the banks coffers to merely service ( NOT PAY DOWN ) an irreversible multiplication of artificial debt or national & state debt that’s mathematically impossible to pay down. To conclude the economic reality & what is a mass political betrayal by all sitting in parliament , no exceptions, Australia therefore has criminal representatives in clear breach of trust working for banks ( not the people ), making up lies, purposely pulling on the heart strings of the Australian people implying disabled individuals & schools will suffer if you don’t comply & agree to even pay more tax , when the reality of the matter that penny pretends to talk about, is what she & every other politician denies & consequently evades , which is the irreversible multiplication of artificial debt that already pays for the disabled & schools, NOT the resulting tax itself that merely services the artificial debt, which is paid directly or indirectly into the banks coffers regardless, never ever paying this artificial debt down , multiplying falsified debt into terminal sums of artificial debt in the process of perpetual re-inflation, ensuring ( NOT INSURING ) we will all be dispossessed of all our property & wealth in the end.